Google has just launched a revamped Site Links system on its Organic and in some cases Paid Search Results. 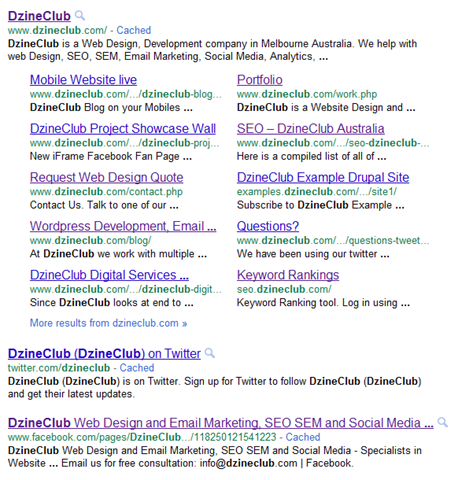 Please view the latest search results for DzineClub. Instead of just being links under the Main website title, there is now a url and a description of the pages in the links. We have seen upto 10 links on a page and with that the result seems to take almost half the page. 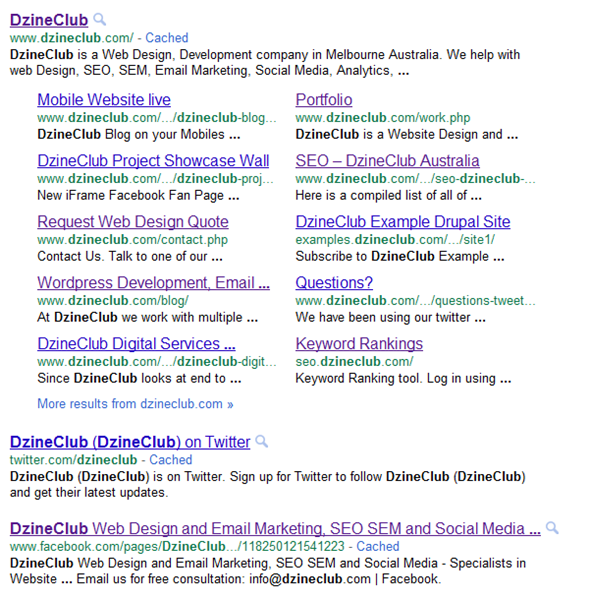 How does Google pick sitelinks? There is no definitive answer but runs an alogrithm which picks the specific links on the website. For all paid traffic, Google has also started using site links. 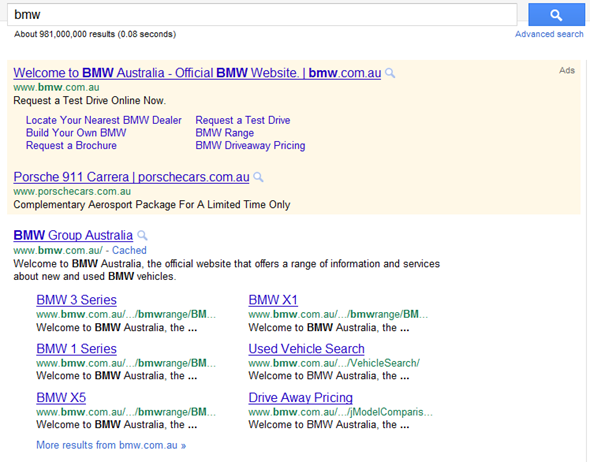 Please view example when searching for BMW in Adwords. This is going to cut traffic for any company which is in 2nd spot and so on. Also this makes Paid search more valuable for businesses because the paid listing are comparable to organic listings and will more likely make a customer click on it. This means that lower end companies are better off investing in Adwords than Full on SEO. How can you improve your listings? Look for your brand and make sure that you have site links coming in your list.